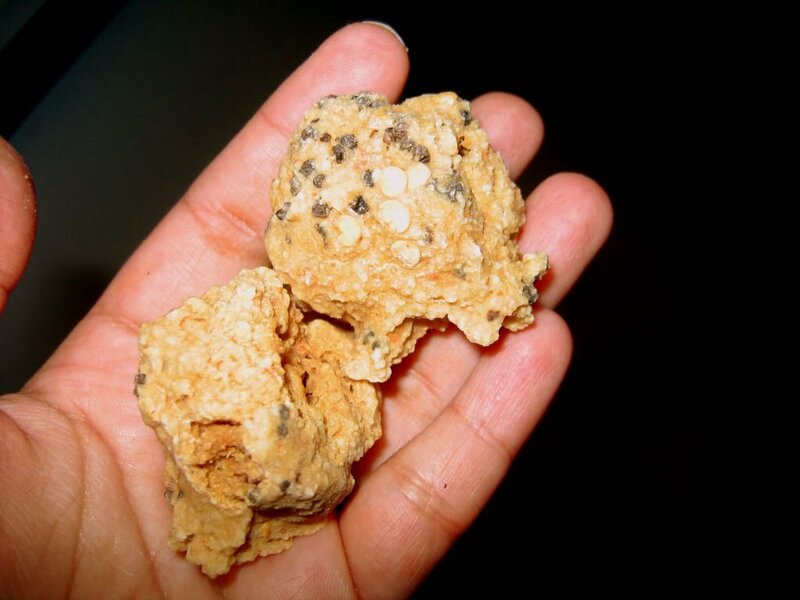 Indian stores sell sun-dried lentil nuggets called wadi. They are delicious and they can turn even the most mundane vegetable into a spicier and special-tasting dish. There are two types of wadis that our local Indian grocer sells- one made with urad dal called punjabi wadi and the other is moong dal wadis that are smaller and less spicy. These wadis remind me of 'kuzhambu vadam' that my mom used to add to vathal kuzhambu as a flavoring agent and thickener. I like to use the larger urad wadis and usually one or two large ones are enough for making a dish. Urad dal wadis contain coarsely broken dried chilis and peppercorns. Each bite sends a spice burst in your mouth. But when broken pieces are added to a subzi, they completely melt into it improving the overall flavor of the dish. All that needs to be done is to break the wadi coarsely and saute them in a tbsp of oil until golden brown. Then add the sauteed wadis along with the vegetable and cook till vegetable is done. Finely chop eggplant. Keep in sufficient water to prevent discolouration. Heat oil in pan. Add urad dal wadi broken in small pieces. Cook till golden brown. Drain and keep aside. 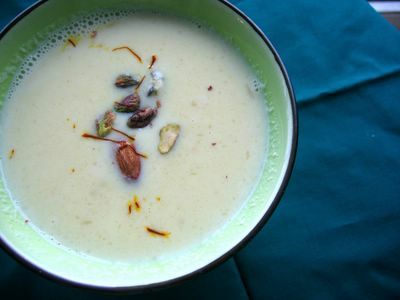 In the same oil, add mustard seeds, asafoetida, ginger, green chillies and turmeric powder. Stir well briefly and add tomatoes. Cook till oil separates. 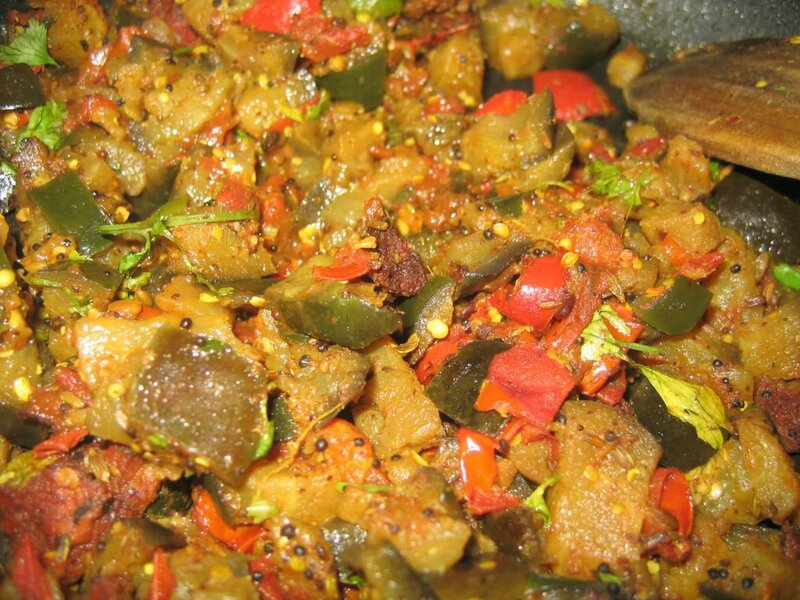 Add drained brinjal pieces, fried wadi, salt to taste and garam masala powder. Cover and cook on low heat for about ten minutes till meltingly tender. Garnish with chopped cilantro. Mika, first things first. Lovely blog! Do you get these wadis in Patel Bros. (btw, I live in Pittsburgh as well)? Are they like soy nuggets? Hi Lonely traveler- Nice to see another blogger from pitt. I actually bought them at Patel bros (you will find them as punjabi wadis). I didn't know what they(wadi)are for or how they are used till now. I thought they are North Indian version of our thattai like things. Now, I know what to do with them, thanks to your delicious sounding recipe, on my next trip to Indian grocery, I will definitely look for them, Mika. Thanks! I have seen these in Patel bros. all the time but never bought them not knowing how they are used! You have changed that :) I will be trying this soon. Mika, just wanted to let you know that I tried this subzi last night and it was SO delicious! Those wadis really add a whole 'nother layer of taste...V and I really both enjoyed it. Thanks for sharing the recipe and for introducing me to these tatsy wadis.